This swing thought brings your focus on the correct sequence of actions that make up a golf swing. At the early stages of the takeaway, only your arms are bringing the club back. 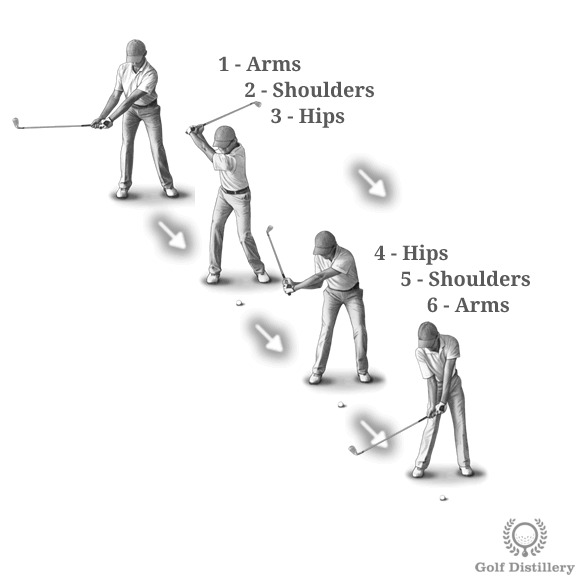 Following this initial stage the shoulders begin to help your arms back and finally your hips follow suit and complete the swing rotation. On the way down, the sequence is reversed. Hips are first to move and begin uncoiling before shoulders bring the arms back down towards the moment of impact. Focusing on this thought will promote good timing, or in other words will help make sure the sequence of actions proceed in the order they are best executed in. Furthermore, it will assist you in performing a correct takeaway, where a flaw will lead to all sorts of trouble down the line. 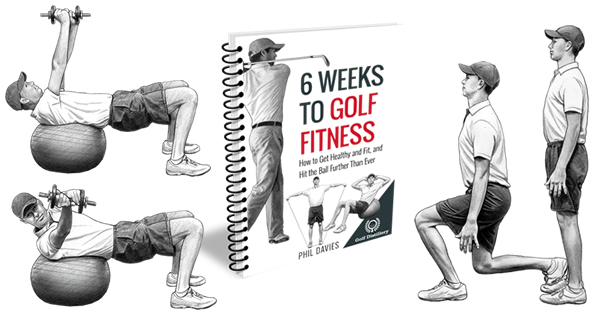 Golfers who tend to swing using all arms instead of soliciting their shoulders and hips will benefit from correctly moving from one movement to the next, in the right order. 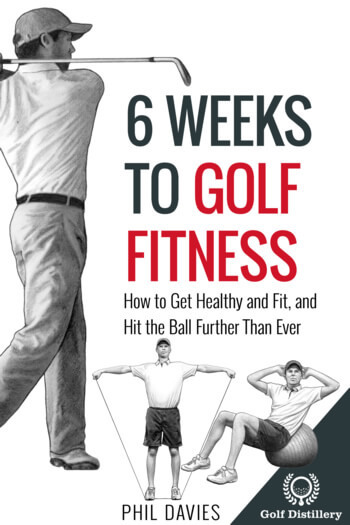 The takeaway is a crucial component of the golf swing. It is made especially so because it constitutes the start of the whole swing sequence. 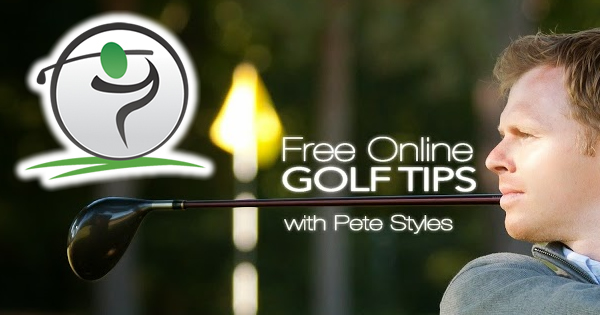 Errors made here can easily lead to errors down the line and it will remain hard to correct errors made at the start of the swing which will need to be compensated for. By focusing hard on doing things in the right order, e.g. by not moving the hips first for example, you are helping your chances of producing clean strikes at the ball. Golfers can safely adopt this swing thought whenever a full swing is required.